I missed this piece in The Washington Post last week. It’s a good one, in which a couple of rocket scientists advocate that we go back to the moon to establish a base, something that is completely within our power and would imbue NASA, and the nation, with a sense of purpose they — we — have lacked for a long time. The key to crew operations, the second phase of building our moon base, is a spacecraft we call the Lunar Excursion Vehicle, which would operate outside our atmosphere and therefore need no heavy heat shields or Earth landing systems. The LEV would fly from Earth’s orbit to the lunar surface and back again. New York to Paris, Paris to New York. Nothing could be simpler. All we would need to do is get to the airport — in this case, low Earth orbit — where the LEV would be “parked” for refueling and used again and again, just like a passenger airplane…. I’m all for it. Ground Control to Major Tom — let’s go! This entry was posted in Inspiration, Nostalgia, Science, Space, The Nation, The World on December 17, 2018 by Brad Warthen. A very large, very peanut-shaped asteroid whizzed past Earth on Wednesday, about 1.1 million miles away. For perspective, that’s about 4.6 times the distance to the moon. That’s razor-edge close compared with the vastness of space, but in our human-relative universe it’s waaaayyy out there…. Let us, for a moment, consider a scenario in which a 0.8-mile-wide asteroid strikes Earth. First, the magic number for total apocalypse is 60 miles. That’s how big an asteroid would need to be to wipe out human life. This asteroid is far from that number, but if it hits, let’s say, Washington, D.C., it’s large enough to destroy everything and everyone from New York City to Raleigh, N.C. (I apologize to the people of Raleigh for dragging you into Washington’s apocalypse.) The thermal radiation radius would be much larger…. I guess that would teach North Carolina not to pass dumb ol’ bathroom bills, huh? I mean, this would be is almost as bad as not getting to host NCAA games. This entry was posted in Science, Space on April 20, 2017 by Brad Warthen. 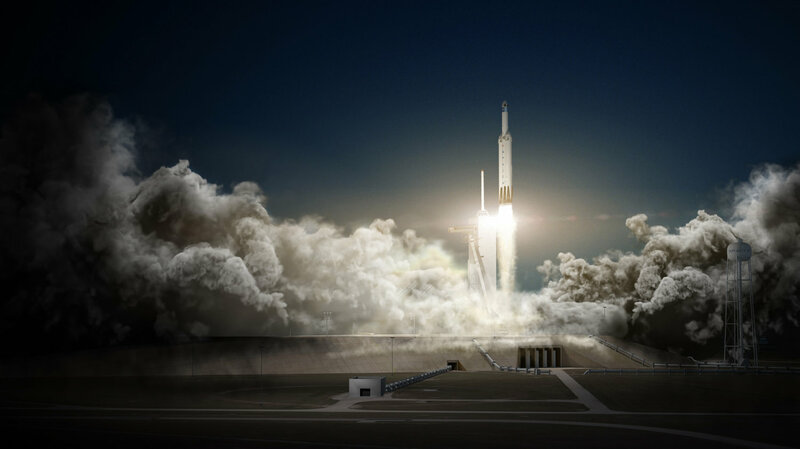 SpaceX says its Falcon Heavy rocket, shown here in an artist’s rendering, will be used in the mission to the moon. It’s hard to stir class resentment in me. Bernie Sanders, Elizabeth Warren, Karl Marx and Occupy Wall Street have all been trying like fun for the last century or two, but they don’t arrive. I don’t much care how much money other people have, or what they do with it, as long as they don’t expect me to count it, or be impressed by it, or even think about it — because I can’t imagine anything more boring. If the mission goes forward, it would be the “first time humans have traveled beyond low Earth orbit since the days of Apollo,” as NPR’s Nell Greenfieldboyce told our Newscast unit. The two private citizens approached the company about the idea and have already paid a sizable deposit, CEO Elon Musk told reporters in a conference call. These private individuals will also bear the cost of the mission…. I am a child of the Space Age, and what could be better for a communitarian? Look at what we accomplished! In those binary days of the Cold War, “we” meant Americans. Our ingenuity, our pooled resources (it was going to cost $24 billion to go to the moon! ), our heroes, the best of the best of the pilots of our military, with our nerds using their American sliderules to make sure our guys got there and back! It was like everything that was great about the Free World — with the government and the whole aerospace industry pulling together because no one entity could do it alone — came together to make the impossible possible. Our boys might have been going up to do single combat with the godless commies in the heavens, as Tom Wolfe eulogized the effort, but they had millions of us behind them. And what should have happened, as the Cold War faded, was that “we” should have been redefined to mean the whole human race. And that sort of started to happen, with the Apollo-Soyuz hookup in 1975 (three years after we’d quit going to the moon), continuing with the International Space Station and with American astronauts hitching rides with the Russians after we quit building spacecraft and became Space Slackers. But now it’s not “we” anymore. It’s Bernie’s “billionayuhs.” They’re the only ones who get to boldly go where no man has gone before. Because the United States of America, the richest and most powerful country in the history of this planet, is no longer big enough, rich enough, brave enough, ambitious enough, dauntless enough to send anyone up there on behalf of us all, so that we can all feel part of the thrill of exploration. We can’t afford it anymore, it seems, even pooling the resources and energies of the whole nation. The most we can manage is to catch rides for a pathetic merry-go-round ride in Earth orbit, basically not going anywhere that Yuri Gagarin didn’t go in 1961. But a couple of rich guys can go, on a lark, past where any of our previous national efforts could go. Not to accomplish anything for science or humanity, but because they’d personally like to go, and can write checks big enough to make it happen. So yeah, finally, I resent the rich guys. But even more, I resent the rest of us for having given up on human exploration. These guys hung their hides out over the edge for US, not to gratify personal whims. This entry was posted in History, Space on February 28, 2017 by Brad Warthen. The news was buried deep inside the paper. To someone who grew up in the ’60s, that headline (“The Last Man to Walk on the Moon”) sounds like the title of a dystopian science fiction novel — set in some future several centuries hence in which we’ve rendered the moon even less habitable than it is now, perhaps with radioactivity from the Second Great Interplanetary War. When I was a kid, going to the moon was this super-exciting thing we were going to do in the future, as a necessary step before venturing to Mars and beyond. And now, it’s so far in the past it’s shocking. Over the weekend, something caused me to think of “the Space Age,” and I was saddened to think of it as a thing in the now-distant past. We had thought we were on the leading edge of something that would last for the rest of human existence. Space travel would soon be like air travel — “2001” told us so! Instead, after a few flights to the moon, we went backward. We pulled back to boring orbital flight, never again to leave our own backyard. And then we went back further, to where we no longer have the capability to send a man into orbit — astronauts have to catch a ride with the Russians. You know, the people we beat in the Space Race. 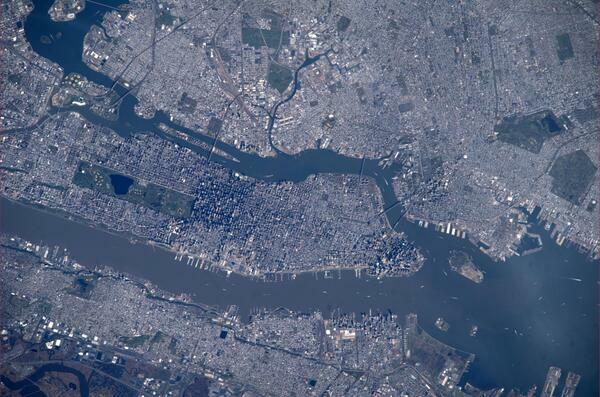 Astronauts are now like hobos, riding the rails when they get the chance. Astronaut Gene Cernan traced his only child’s initials in the dust of the lunar surface. Then he climbed into the lunar module for the ride home, becoming the last person to walk on the moon…. His family said his devotion to lunar exploration never waned, even in the final year of his life. 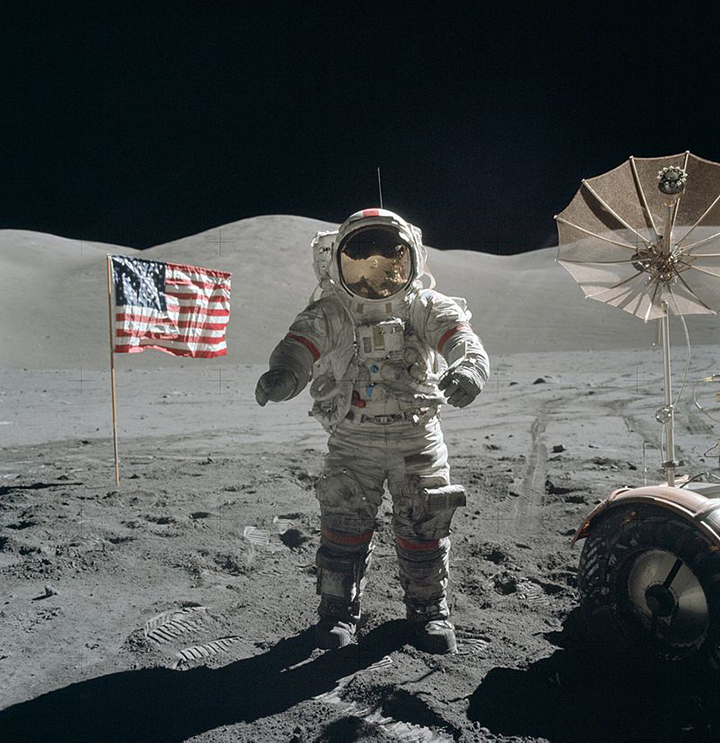 Cernan died Monday at age 82 at a Houston hospital following ongoing heath issues, family spokeswoman Melissa Wren told The Associated Press…. When he took those steps up that ladder to leave the moon and never return, so did his nation, his species. And he was not happy about that. Now, all our space heroes are dying of old age. Now, this week, as Astronaut Cernan was breathing his last, our nation prepared to inaugurate… President Trump, whose great aspiration for our country is to build a wall to keep the Mexicans out. This entry was posted in Nostalgia, Space, The Nation on January 17, 2017 by Brad Warthen. If all goes according to wild conjecture, planet Earth and the planet Nibiru are set to collide in the autumn, twin cosmic shooters in a game of apocalyptic marbles. Nibiru is playing for keeps, bringing sinkholes, fire storms and the general annihilation of life as we know it. As with many conspiracy theories, though, this one has a fatal factual flaw. 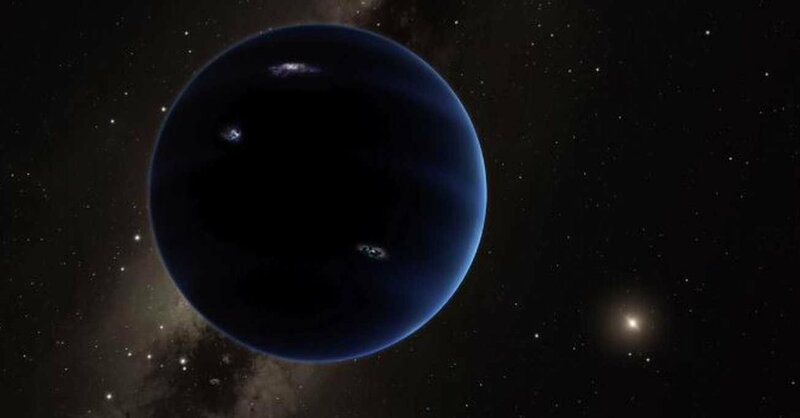 The closest thing Nibiru has had to an existence was a cameo in a 2013 Star Trek film. There is not, in reality, a planet called Nibiru boldly zooming through our solar frontier…. Here was this thing I had not worried about a bit, because I had never heard about it. (It’s one of those things like “the world’s gonna end in 2012” — remember that one?) And now they were telling me not to worry about it. But don’t bother to celebrate our deliverance. Scientists also predict that, on the downside, Donald Trump will be president of the United States in October 2017. This entry was posted in Donald Trump, Out There, Space on January 5, 2017 by Brad Warthen. 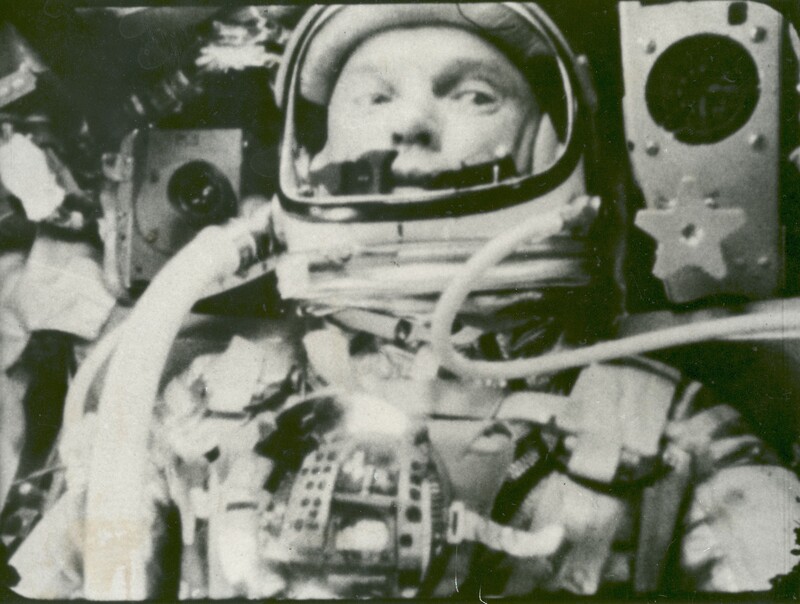 John Glenn was one of my heroes, but that says nothing special about me, except that I was a kid when the Mercury Seven — of which he was the most illustrious, the most conspicuous — were wowing the nation with their exploits. I remember being herded into the auditorium with the rest of my 3rd-grade class to watch him orbit the Earth, as it happened, on a medium-sized black-and-white TV that had been wheeled in for the occasion. Later, The Right Stuff made me admire him all the more, even though Wolfe made it clear how low the astronauts were on the Test Pilot Pyramid (“A monkey’s gonna make the first flight!”). When he ran for president in 1984, he was the guy I wanted to see take it all. I couldn’t believe he did no better than he did; I chalked it up to a decline in the national character. 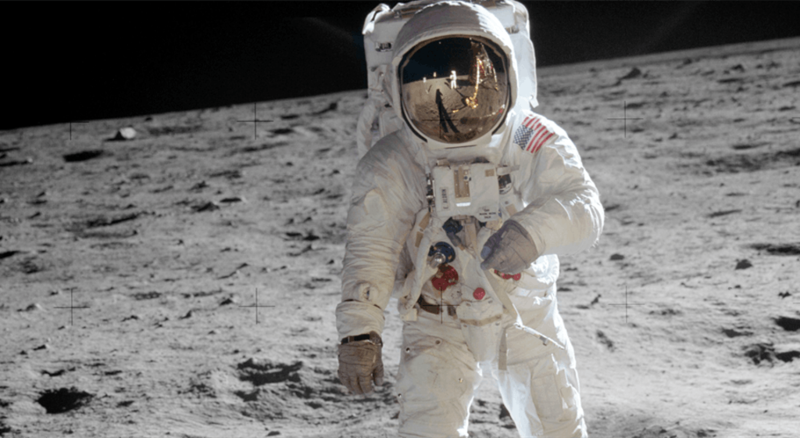 An anecdote that illustrates Glenn as an exemplar of old-fashioned virtues: In the book, Tom Wolfe really played up Glenn’s status as the most gung-ho, straight-shooting, hard-working, unapologetic advocate of duty and clean living in the astronaut corps. One small example of how meticulously conscientious he was: Whenever he went on a goodwill tour of one of the factories that were building the components of the Mercury rockets and capsules, within days he would send hand-written thank-you notes to everybody he had met at the plant. I never met Glenn myself, but early in 1984, his daughter made a visit to Jackson, Tenn., where I was the news editor of the local paper. She came by the paper and met with us, advocating for her dad, and before she left, I put on another hat and asked her whether there was any chance of getting John himself to come speak at the banquet of Leadership Jackson, of which I was the rising president. In the mail a few days later, I received a card from her in which she went on at length about her efforts to follow up on my request. 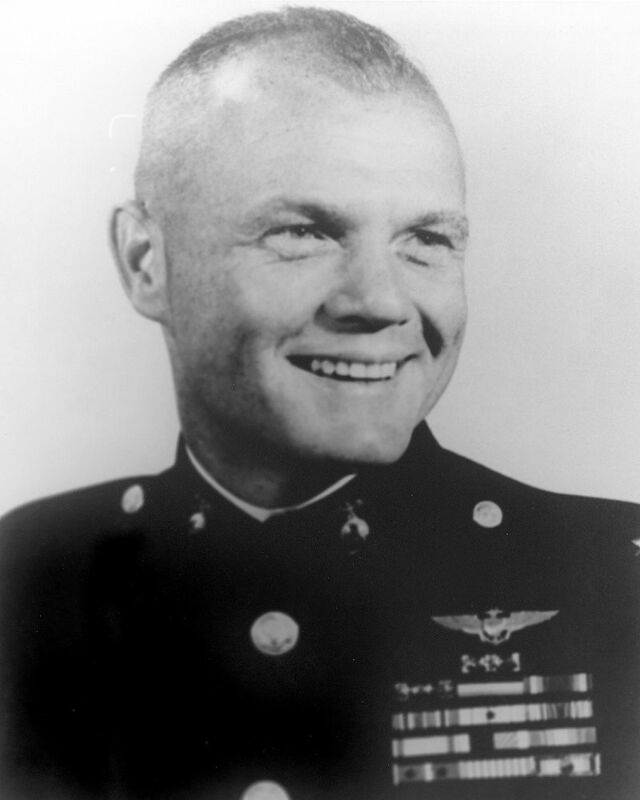 So, in addition to being our foremost Single-Combat Warrior Challenging the Godless Commies for Dominance of the Heavens, he was a pretty-good Dad as well, passing on his own relentless habits of following through, of being dutiful even in small things. This entry was posted in History, Obits, Space, The Nation on December 8, 2016 by Brad Warthen. This was some sort of super-duper, futuristic towel that my wife had had the foresight to buy before our trip. Small-folding, super-absorbent, and super-fast-drying so you can use it again before long. Whoever found it may not have recognized it as a towel. Its texture was like a cross between felt and rubber — hard to describe, really. Technically, I still knew where it was — I had left it on a doorknob of a farmhouse in the countryside of Khorat. But I no longer had the use of it, which of course was the point of such knowledge. I also had most of those other things listed in the above paragraph, and more — just not my towel, which saddened me, because it made me feel less hoopy. They are experimenting with a 3-D printer that would make bricks suitable for airtight buildings and radiation-proof shelters using the grit that blows across Mars’s red surface. In Huntsville, Ala., Ms. Werkheiser, NASA’s 3-D print project manager, is starting to print curved walls and other structures using imitation Martian sand as an ink. Engineers at the European Space Agency are exploring ways to use lunar dust as an ink to print out an entire moon base. London-based architects Foster + Partners have designed a printable lunar colony. Frankly, on this topic I’m a little like those people who believe the moon landings were a hoax. I DO believe in the moon landings, let me be clear, but I still don’t understand how any sort of complex item — say, pizza — can be recreated so that it is functional. 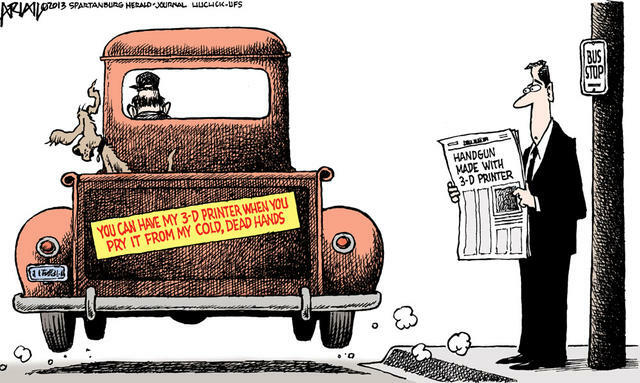 I see how you might print a plastic statue of the object; I just don’t understand how it could work like the original. In other words, I can imagine having something like a low-functioning 3D PDF — like a fax that is a picture of text, but doesn’t give you text that you can work with, because the document does not know that the text is text. If you can follow me. This entry was posted in Space, Technology, Thailand, Travel on April 13, 2015 by Brad Warthen. 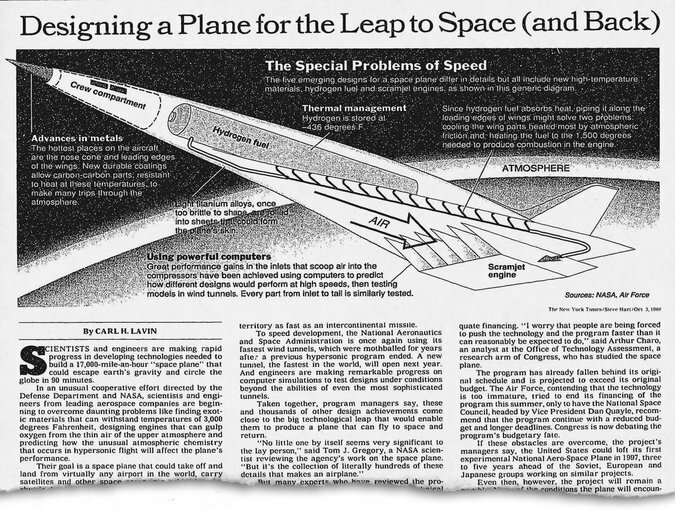 “Scientists and engineers are making rapid progress in developing technologies needed to build a 17,000-mile-an-hour ‘space plane’ that could escape earth’s gravity and circle the globe in 90 minutes,” the article began…. But the whole project was abandoned in 1994, and experts say it remains technologically beyond our reach. Just this week, the U.S. Air Force’s unmanned X-37B space plane returned to Earth after a mission lasting almost two years. This entry was posted in Military, Space, Technology on October 21, 2014 by Brad Warthen. This is the coolest thing I ran into over the weekend. I think the info has been out there awhile, but it was new to me when I saw it at the WashPost site. 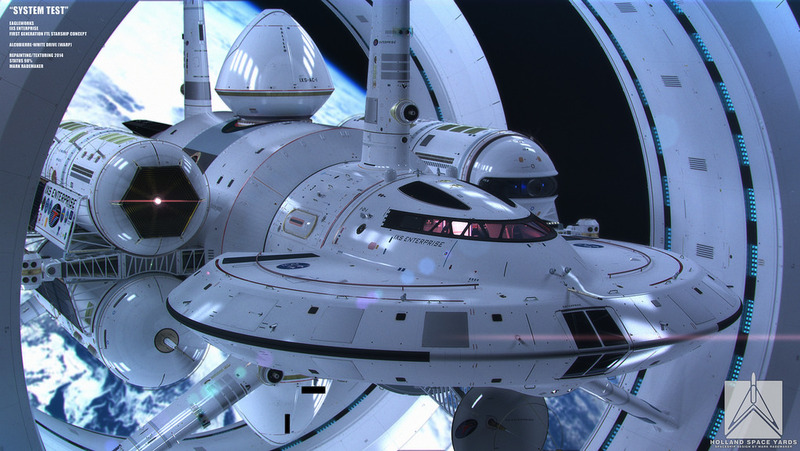 First, there’s a guy at NASA, engineer and physicist Harold White, working on how to make a warp-drive spaceship, a true starship, a vehicle that can move at speeds exceeding the speed of light. Which, it is believed, may one day be possible. 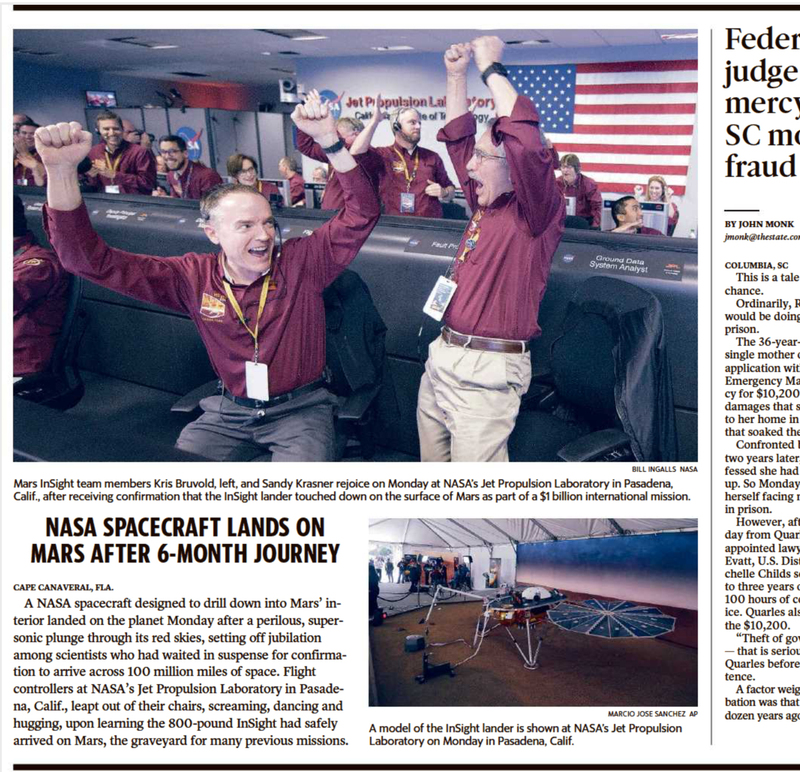 Admittedly, the pictures are less about getting to the other side of the galaxy, and more about getting kids excited about pursuing STEM careers. But they’re a lot of fun anyway. You can see more images at Rademaker’s Flickr account. A disappointing aspect of that is that it makes for a bit of a clunky design. In the photo above, I saw that structure around the ship and thought it was docked in a construction bay, or making a stop at a space station. No, apparently, that huge ring is part of the ship — an essential element to making the warp drive work. “The rings are most important as they will form the Warp bubble,” says Rademaker. This entry was posted in Science, Space, Technology on June 16, 2014 by Brad Warthen. This sort of image is fairly unremarkable in these days of Google Earth, but I thought it was worth reTweeting when I saw it yesterday. Yes, it was. Very clear. It would be cooler if the resolution were higher, but still nice. This entry was posted in Space, Technology, The Nation, The World on May 8, 2014 by Brad Warthen. So I heard a couple of references to the movie “Gravity” — which stands out among the films of this past year in that I actually went to see it in a theater. I had heard that a) it was good, and b) the 3D was actually worth seeing. So several weeks ago, I went to see it while I could still catch it in that format. It was good, and the 3D, while not being mind-blowing, was at least watchable. It didn’t get in the way. But I wouldn’t call it indispensable. I think the film would have been visually impressive without it. No, I don’t know what that referred to, and don’t care. 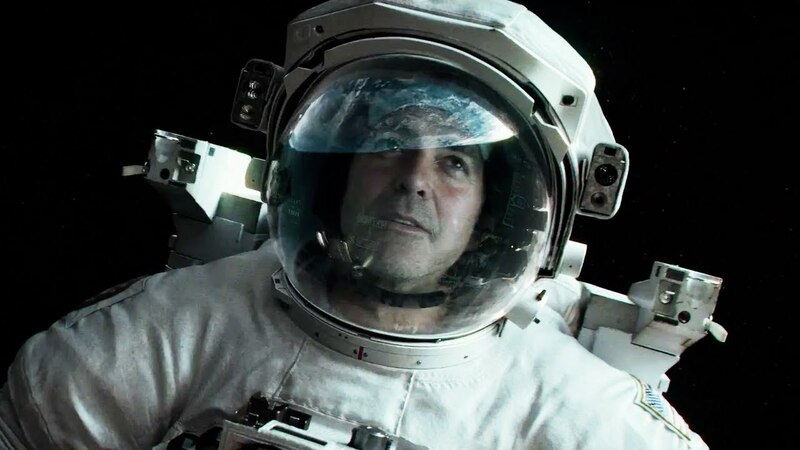 But it got me thinking about George Clooney in “Gravity,” who I thought was impressive as an old-fashioned, early ’60s-or-earlier kind of hero, the kind you don’t see all that often in movies anymore. MAJOR SPOILER ALERT. Seriously, I’m about to give away the whole movie, so if you care about that, stop reading now. Yes, the movie centers around Sandra Bullock’s character, who spends most of the screen time alone. The film is mainly about her grit and determination to survive. You would in fact call her character heroic if she were saving anyone other than herself, but whether you call it that or not, her struggle is pretty gripping. But the reason she spends all that screen time alone is that at the beginning, George Clooney’s character gives his life so that she’ll have a chance. And in his few minutes on screen, he exhibits enough Traditional Manly Virtues to fill up the whole film and more. 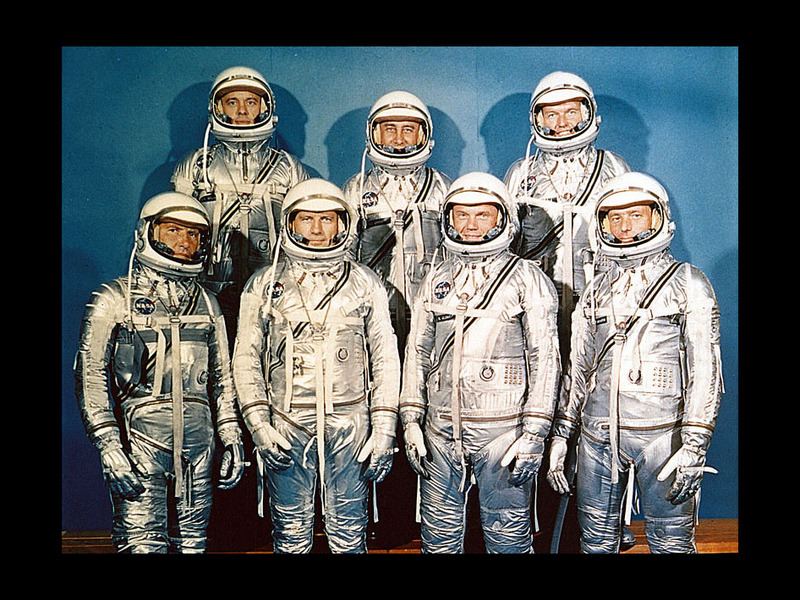 He seems to personify all the courage we ascribed to the original seven Mercury astronauts, as described by Tom Wolfe in The Right Stuff. And as befits a hero, he wears it lightly, hid in a constant stream of wisecracks, maintaining an even strain. There’s a dynamic between him and the Bullock character that I’ve seen in real workplaces. She is the no-nonsense woman who has a task to perform and is doing it not because she enjoys it, but because it needs doing and she knows how to do it, and she just wants to get it done and go home and maybe put her feet up, but while she’s working she has to put up with this lollygaggin’, wisecracking guy who doesn’t seem to have enough to do and who is maybe flirting with her or something, which is something she doesn’t need. Although it turns out that the good-time Charlie thing is just part of his leadership style. He’s just trying to get a smile out of someone having a bad day (because if you can do that, the unit functions more smoothly). But that’s not all there is to him. When things go bad and somebody needs to give orders, he does so with a crisp, commanding confidence. No question at that point that he is the mission commander, and there’s a reason for that. Because as much as you might need scientists and techies to make the gadgets work, there’s a time when you need a pilot, a guy who routinely hangs his hide out over the edge in a hurtling piece of machinery and hauls it back in again without breaking a sweat — someone schooled in emergency, someone at home with danger. You need someone in charge who knows exactly what he’s doing, even when everything’s gone all to hell. His persona makes such an impression on Sandra Bullock’s character that even well after he is certainly dead, at a point when she has decided to just give up and let herself pass out from lack of oxygen, he returns to her in a hallucination — still the same lollygaggin’, keeping-it-light guy, but gently goading her into waking up and doing what it takes to survive, in spite of the odds. And the thing is, he does all of this without seeming like a caricature, or a stereotype, or a throwback to movies gone by. In fact, he does all this more artfully and smoothly than most Traditional Heroes in old movies. Anyway, I was impressed by that. And I wonder whether any actor other than Clooney could have pulled it off…. This entry was posted in Movies, Space on March 3, 2014 by Brad Warthen. Over the weekend, I denied being a “geek,” at least according to the parameters that Amazon set out. However, I admitted that I may be such a geek that normal geek-dar doesn’t pick me up on the screen, in that my enthusiasms are slightly more esoteric. For instance, I denied being a Trekkie, and that was true. 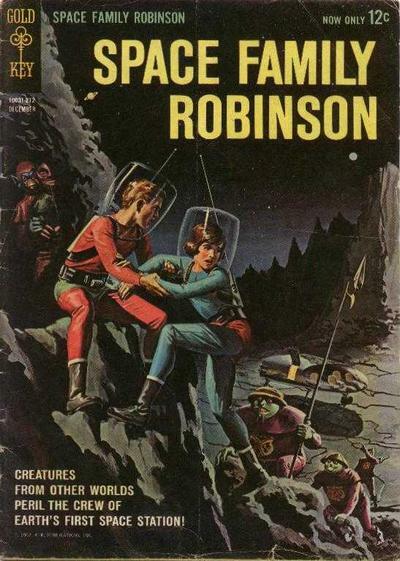 But I was into the even lower-quality “Lost in Space.” I thought it great that TV had turned a comic book I was into — “Space Family Robinson” — into a prime-time show. Anybody remember that? 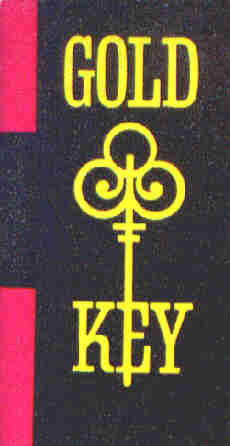 It was published by Gold Key Comics. For that matter, anyone remember Gold Key comics? I was originally attracted to the comics by the obvious play on “Swiss Family Robinson,” a movie I had enjoyed (I never read the book). I haven’t touched a copy in nearly 50 years (I wasn’t foresighted enough to keep them until they grew in market value), but I still remember one edition causing me to think about how immense space was. There was a story in which the Robinsons received a signal from about 20,000 miles away, and one of the kids said, “That’s practically right next door!” Which is really trite, except to a kid. As someone at the BBC wrote, that should be in every science textbook. This entry was posted in Confessional, Movies, Personal, Popular culture, Space, Television on August 6, 2013 by Brad Warthen. Would you like a 3D print of fries with that? 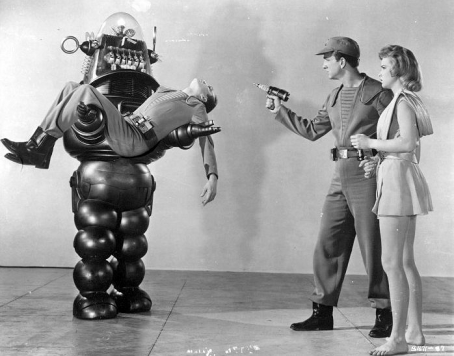 NASA can send robots to Mars, no problem. But if it’s ever going to put humans on the Red Planet, it has to figure out how to feed them over the course of a years-long mission. So the space agency has funded research for what could be the ultimate nerd solution: a 3-D printer that creates entrees or desserts at the touch of a button. 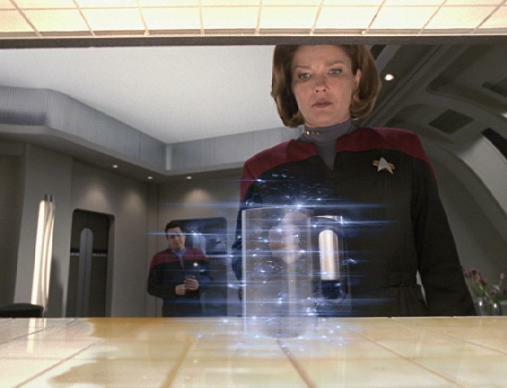 Yes, it’s another case of life imitating “Star Trek” (remember the food replicator?). In this case, though, the creators hope there is an application beyond deep-space pizza parties. The technology could also be used to feed hungry populations here on Earth. Obviously, the food would not be created out of thin air. The “toner” on this copier would have to consist of the chemical building blocks of the actual food items. The story doesn’t really spell out why that’s such an advantage, but I’m guessing it’s because powders containing those compounds are more easily stored. But still… you would have to have the water that would flesh out the food, and… I don’t know why this would be an improvement over Tang. Personally, I want a 3D printer that would print diamonds out of coal dust. Or make a really convincing 3D print of Christina Hendricks. Just as a for-instance. I think that would be highly marketable. 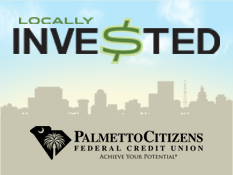 This entry was posted in In Our Time, Space, Technology, Travel on May 22, 2013 by Brad Warthen. Any astronomers out there? Because I’ve got a question that’s been bugging me. Some time ago, I picked up one of those cards at Starbucks that provides a code that lets you download a free iPhone app. This one was called “Star Walk,” and it was very cool. Basically, you hold your phone up to the sky, and it gives you a labeled diagram of what you’re looking at. For that matter, you can use it inside, and it will tell you exactly where the planets and the constellations and major satellites are in relation to where you’re standing. You can even hold it toward the ground and see where the heavenly bodies are when they’re not in the visible sky, on the other side of our planet. I appreciate it because I’ve always felt particularly ignorant because I know so little about what’s out there. I read those novels I love about Jack Aubrey and Dr. Maturin, and Jack is always so dumbfounded by how little his friend the doctor knows about the planets and stars or anything else having to do with seamanship. And I’m not genius with languages like the doctor, so I feel particularly stupid. Before the app, if I saw a particularly bright object in the sky, I assumed it was Venus, unless it had a reddish tint, in which case I assumed it was Mars. But I really had no idea. I’m not that much brighter now, but I’ve picked up a couple of things. I can look up right away and say, “There’s Jupiter.” And at this time of night, I can pick out Orion pretty clearly. But there’s something that’s been perplexing me in recent weeks. Jupiter is off to the right of Orion. Fine, I can see that. But there’s something a roughly equal distance off to the left of Orion, at about the same elevation, that’s just about as bright as Jupiter. And what with light pollution from streetlamps and such, that object is the only thing bright enough to see in that part of the sky. You know what? I just looked up Canis Major, which I know to be to the left of Orion, and according to Wikipedia Sirius is the brightest star in that constellation by far. In fact, I see elsewhere that it’s the brightest star in the sky other than our own Sol. So, you know. Duh. Don’t know why my app didn’t indicate that. (It makes it look like Murzim and Betelgeuse and Bellatrix and Rigel are all just as bright, which they’re not.) But hey, it’s a free app. And what it does do is pretty cool. This entry was posted in Confessional, Science, Space on April 23, 2013 by Brad Warthen. 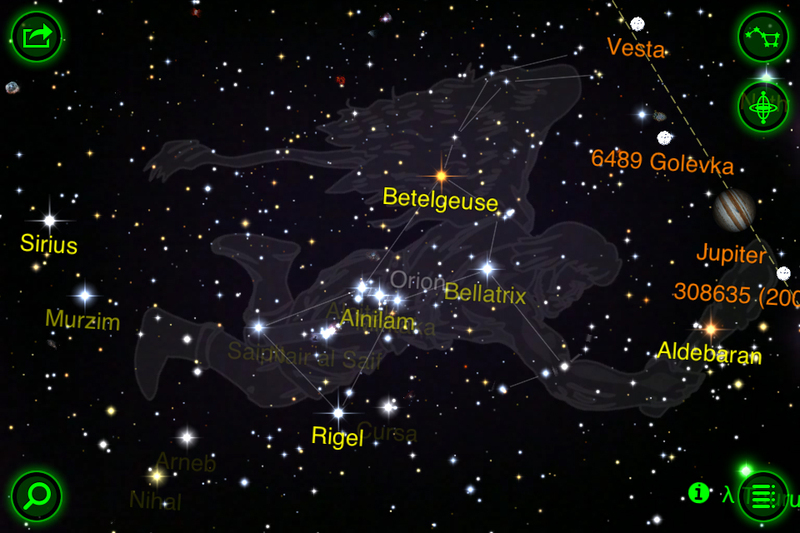 Last week, we saw quite an array of celestial events. First, lightning struck St. Peter’s Basilica only hours after the Pope shocked the world by announcing his retirement, suggesting that Someone preferred to keep such decisions to Himself. It’s like the heavens were mocking us and our belief that we have a handle on things. Nevertheless, the Earth is hit by one of these relatively small DA14-sized asteroids about once every 300 years, on average. And “small” is far, far from insignificant. The DA14-like asteroid that hit Earth in 1908 did so in a remote region of Siberia, where the explosion (the equivalent of about 250 Hiroshima nuclear bombs going off at one time) destroyed over 800 square miles of the countryside. This disaster zone, superimposed on any city in the world, would have wiped it and all its residents from the face of the Earth. I refer you, as a graphic reminder of the power of such explosions, to the post-facto Hiroshima bomb pictures readily found online. The second way to view DA14 is to realize that, until just about a year ago, it was one of about 1 million similarly sized, near-Earth asteroids, which we know are out there, statistically, but that we haven’t yet seen. Consequently, until we find them in our telescopes, we are like sitting ducks in a shooting gallery with nothing more than luck to prevent a disaster. Regrettably, the Earth-based telescopes we’ve been using to discover and track these objects have, practically speaking, reached their limitations for finding the vast majority of these cosmic torpedoes. Why do we care about finding them if there’s nothing we can do about it? Because, unknown to most people, is that if we have adequate early warning, our current space technology is sufficiently advanced to deflect these asteroids. For smaller impacts, even a last-minute warning of several days could enable a local evacuation and save many lives. He goes on to make a pitch for the Sentinel telescope. He’s involved with a nonprofit that wants to build this thing and save the planet. Which is good of him. “There are three ways to deflect a dangerous asteroid: the gently pull, the swift kick and nuking it,” says Fitzsimmons. 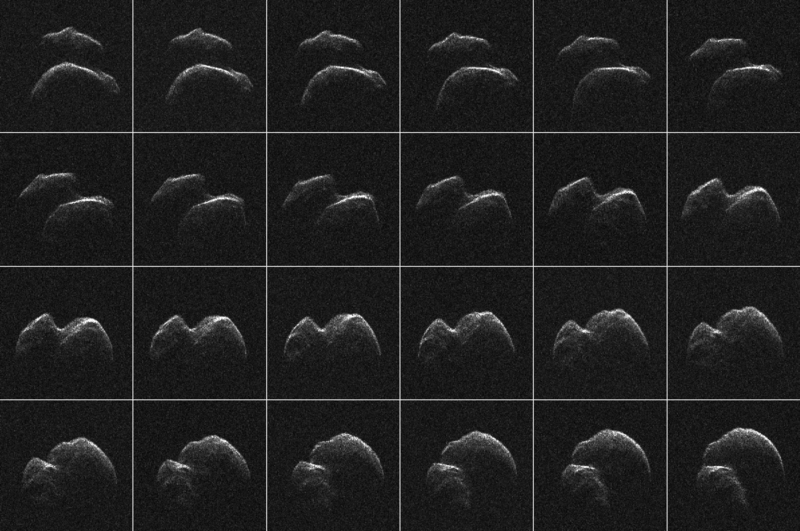 Which method is best depends on the asteroid’s size, composition, orbit, and crucially, how much warning we get. Typically, warning times of a decade or so would be required. With plenty of warning, the gentle pull may be all that is needed. In this scenario, you send the heaviest spacecraft you can launch to “hover” close to the dangerous asteroid. The tiny gravitational pull that the spacecraft produces on the asteroid then adds up over many years to shift it off collision course. It’s a concept known as the gravity tractor. The swift kick actually involves a collision. You hit the asteroid with a heavy spacecraft that instantaneously changes its orbit. The more warning you have, the smaller the kick you need to give it. Observations can quickly show whether the method has worked or whether another kick is needed. Finally, if things are desperate, nuke it. This can provide the biggest kick of all. But don’t shatter the asteroid. The last thing you want to do is break it up. That turns a cannonball into buck shot without significantly changing its orbit. Instead, a nearby nuclear explosion would evaporate the surface layers of the asteroid. As the vaporised rock jets into space, the asteroid would be pushed in the opposite direction. This entry was posted in Science, Space, Technology on February 18, 2013 by Brad Warthen.